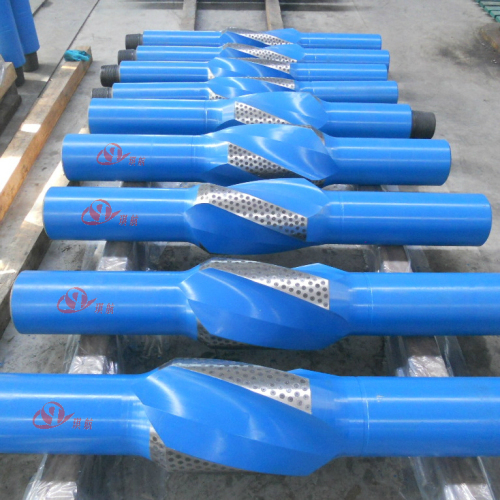 Drilling Stabilizers are integral downhole equipment used in the bottom hole assembly (BHA) of a drill string. 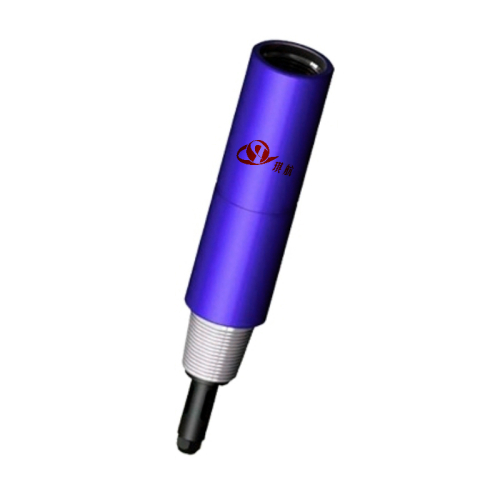 It mechanically stabilizes the BHA in the borehole in order to avoid unintentional sidetracking, vibrations, and ensure the quality of the hole being drilled. 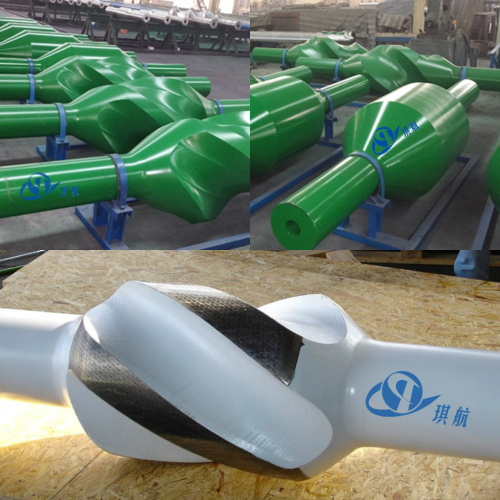 Stabilizer is composed of a hollow cylindrical body and stabilizing blades, both made of high-strength steel. The blades can be either straight or spiralled, and are hardfaced for wear resistance. 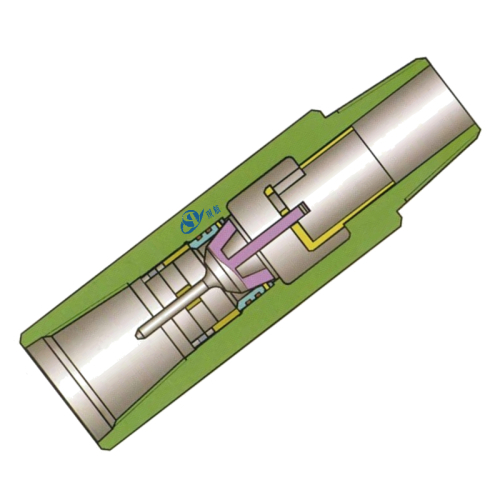 Usually 2 to 3 stabilizers are fitted into the BHA, including one just above the drill bit (near-bit stabilizer) and one or two among the drill collars (string stabilizers). 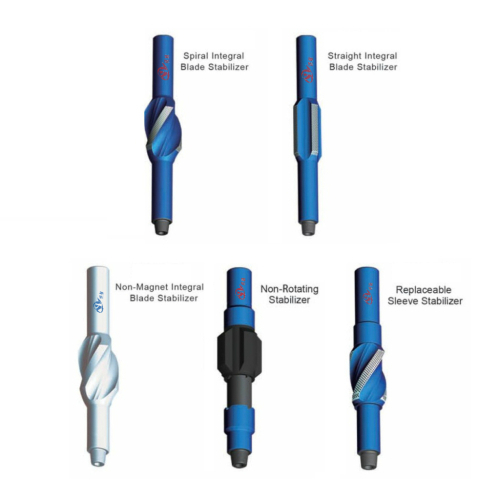 Integral Blade Stabilizers are machined from a single piece of high strength AISI 4145H or non-magnetic steel, integral blade stabilizers (IBS) eliminate the risk of blades falling into the wellbore. Available with either Spiral Blades at different angles or Straight Blades. 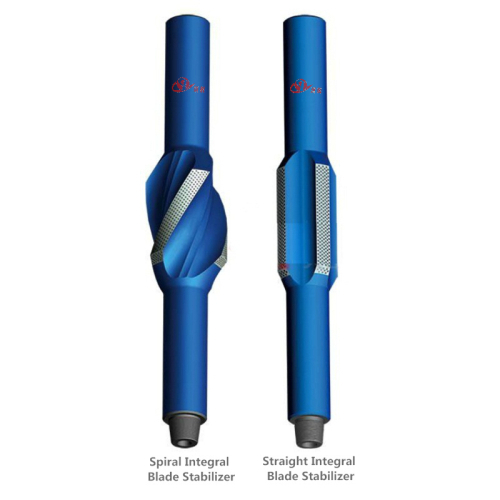 Spiral blades ensure 360° surface contact, while straight blades provide maximum fluid concentration. Dressed with an optimal hardfacing solution, our integral blade stabilizers are suitable for most formations, from soft to abrasive. As its name suggests, the blades are welded onto the body. Welded Blade Stabilizers are an economical alternative to integral blade stabilizers for soft and medium hard formations. 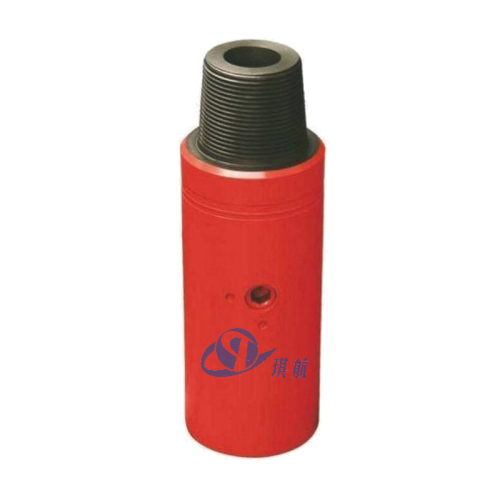 This type stabilizer is usually not advised on oil wells due to the risks of losing blades, but is regularly used when drilling water wells or on low-cost oilfields. 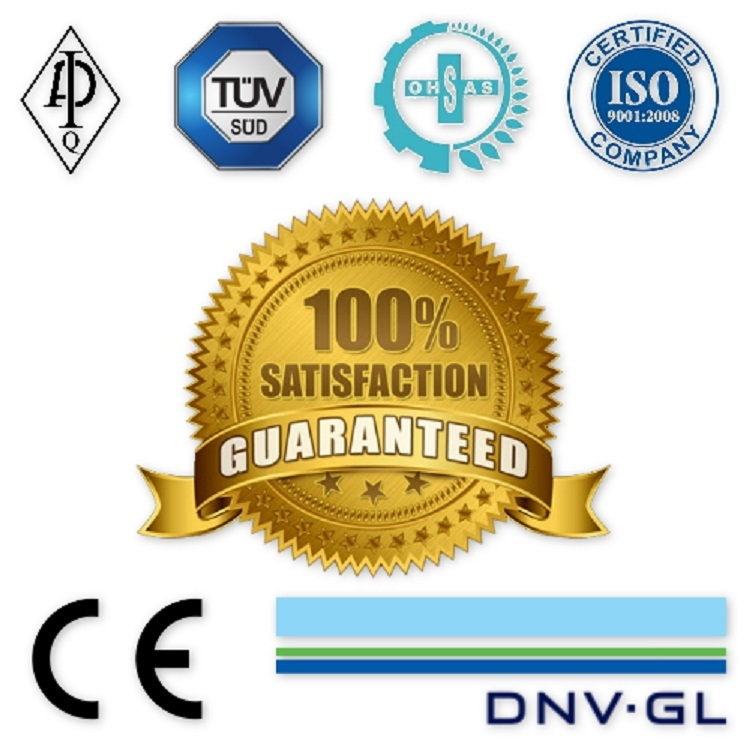 Full-length heat treatment and thorough non-destructive tests of all welding welding seams ensure maximum robustness. Available in straight blade and spiral blade design with 3 or 4 blades per stabilizer. 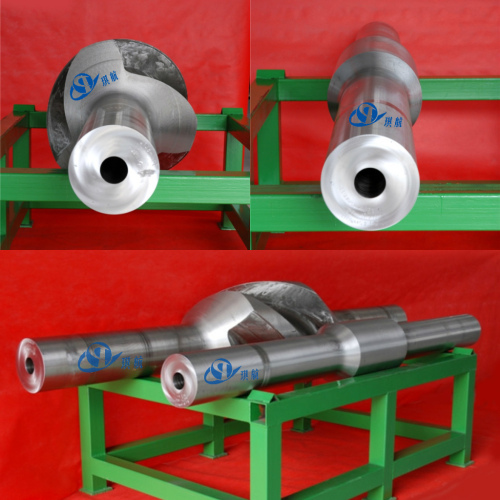 Qihang's welded and integral stabilizers are available with blades of the following wrap angles. Spiral blades are usually right-handed, left-handed spirals can be furnished upon request. Replaceable sleeve stabilizer, where the blades are located on a sleeve, which is then screwed on the body. This type stabilizers are are ideal in remote areas, where repairs and redressing of the blades are not feasible. The sleeve can be changed easily on the drill floor without the need of special tools. Made from special polyurethane, rubber sleeve stabilizers can be used in hard and abrasive formations, as wear on the sleeves is much lower compared to other stabilizer types. 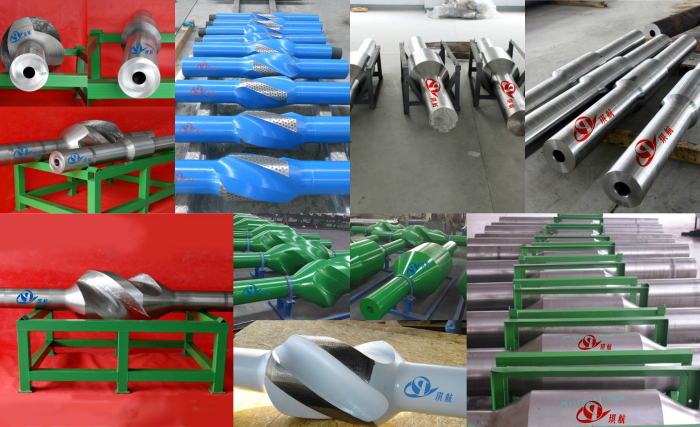 All of Qihang's Drilling Stabilizers are fully designed, produced, and tested in accordance with API 7-1 standards. Available in sizes from 6" to 36". The standard material is AISI 4145H Mod Steel, Non-Magnetic (Non-Mag) Steel. Other sizes and material are also available upon request. 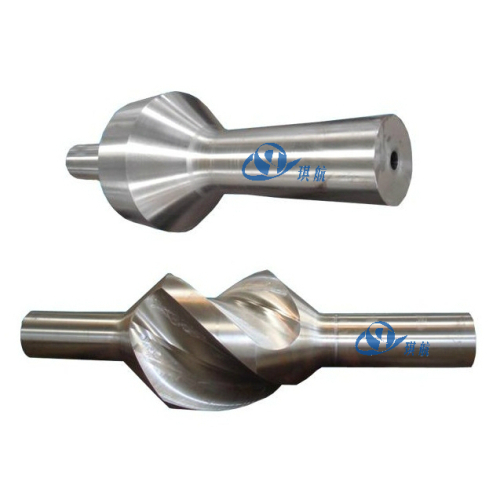 Types: Drill String type and Near-Bit type. 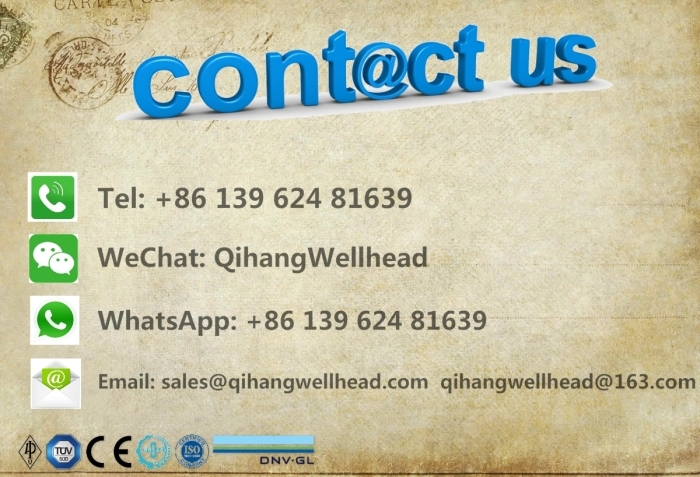 Qihang supplies Top Quality Drilling Stabilizers at Truly Competitive Prices. Contact us Today for your specific needs!